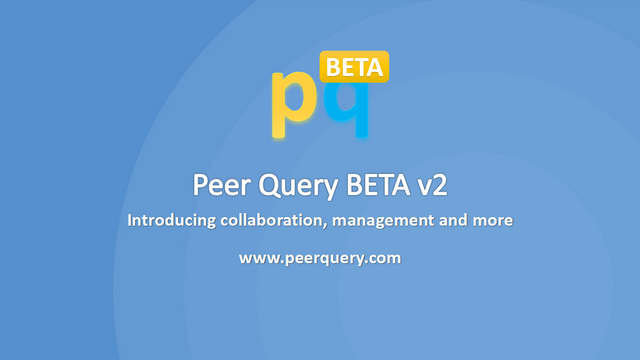 Welcome to the new Peer Query beta v2. This update introduces project collaborations, management and a lot of improvements. If you are not yet Peer Query, it is time to come on board. The project membership feature lets. 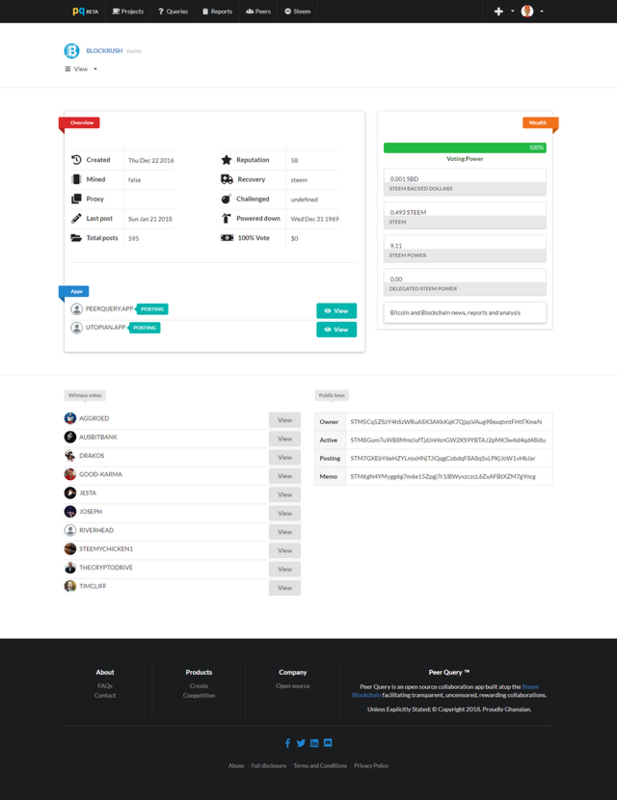 In upcoming updates, we will build more functionalities around this so members can have exclusive access to certain project features and capabilities. 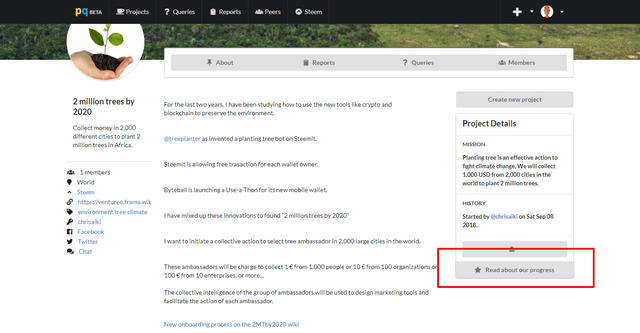 This is another interesting new feature added to projects. You can now add upgrade the membership of project members to team status. In upcoming updates, team members would be able to do more, including approving or reject membership requests and more. You can now export your project data as JSON, with XML coming soon. 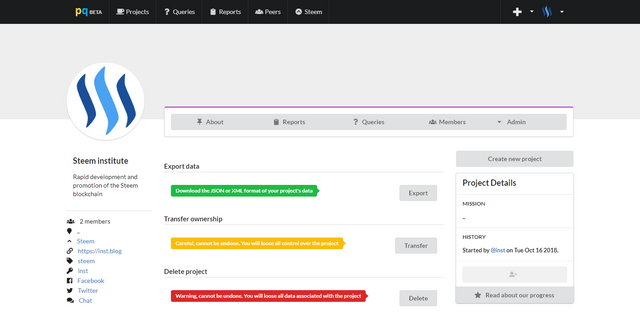 You can now transfer a project to another user on the team. The new owner must be on the team of a project. You can now delete your projects. In the case that you no longer want a project, you can delete it. You can now view stats for your project, including the count. 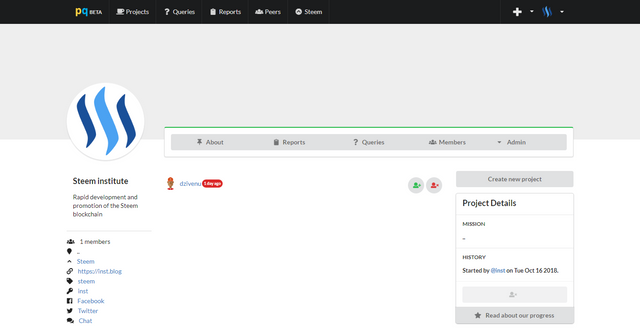 You can also now add action buttons to your projects. You can set a custom message for the button along with a custom IRL(link or URL). The user wallet is back, with a few deductions: estimated account worth and bandwidth(now manna). 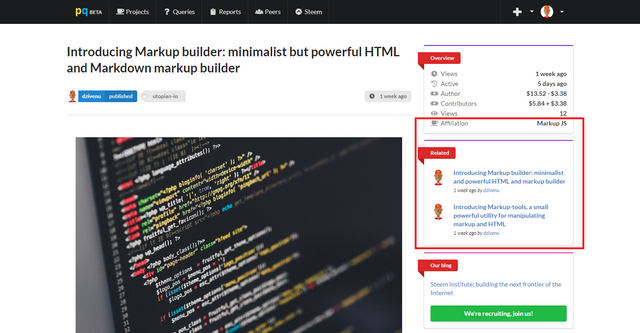 The report viewer is built on markup-builder and can now parse mentions, hashtags, youtube links, and images links. When viewing a report, you can now view the associated project for the report. Four of the latest reports published for the projects are also featured. There have been lots of smaller improvements to the several functionalities. Most of which you will have to discover for yourself. The content that is included is quite good, and PeerQuery is coming along nicely. The screenshots used were well chosen and of high quality. That said, this seems like the skeleton of a post, written in preparation of writing the full post with all the details. I get writing succinctly. I'm the same way. But you have to give the readers some context. An introduction explaining what PeerQuery is would have also been useful. Or at least a link to an introductory post early in this one. Any of these things would have made the post far more accessible to new readers, and could help convert them to new users.